Midterms have passed and the Democrats have taken back control of the House, effective January 1st. It remains to be seen if they will attempt to reinstate full deductibility of homeowners’ mortgage interest, which could help keep San Francisco home prices trending upwards. Over the past four weeks, the stock market has had significant gyrations, including a 1200 point decline in the last two weeks of October which capped that month’s worst performance in seven years. This volatility may negatively impact buyers who depend on stocks for their downpayment. The economy remains robust and the Federal Reserve Bank is expected to continue raising interest rates to keep it from overheating, resulting in inflation. These rises will be a counterweight to rising home prices because rising interest rates dampen buyers’ purchasing power. 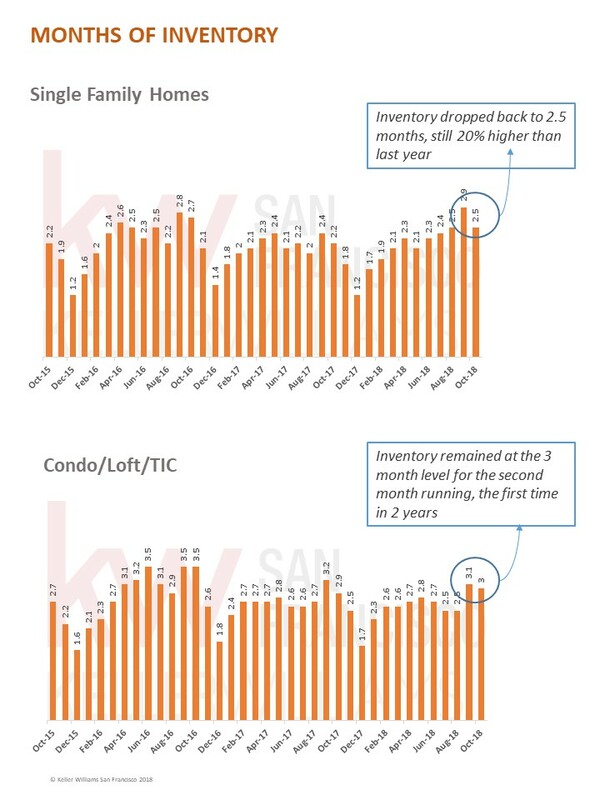 In San Francisco, inventory rose very slightly from last year for both single family homes and condo/loft/TICs, but the market remains very solidly in the sellers’ drivers seat. 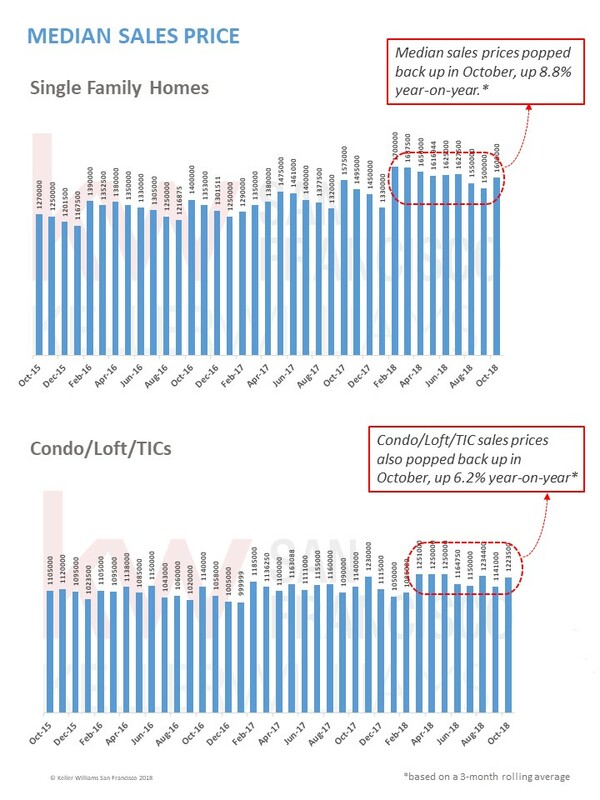 The three-month rolling average median sales price of $1,550,000 is up 8.8% over last year’s*. 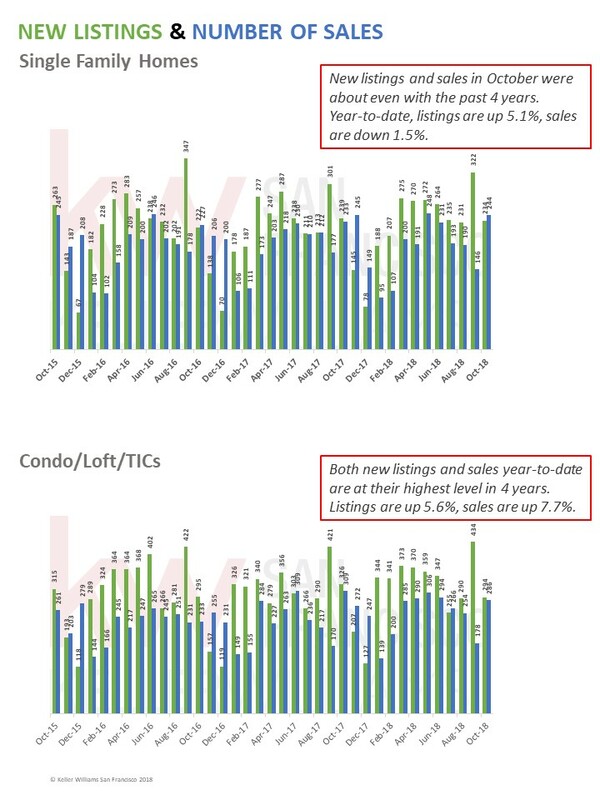 Year-to-date, new listings are up 5.1% while sales are down 1.5%. October’s inventory of 2.5 months is 13.6% higher than in 2017. 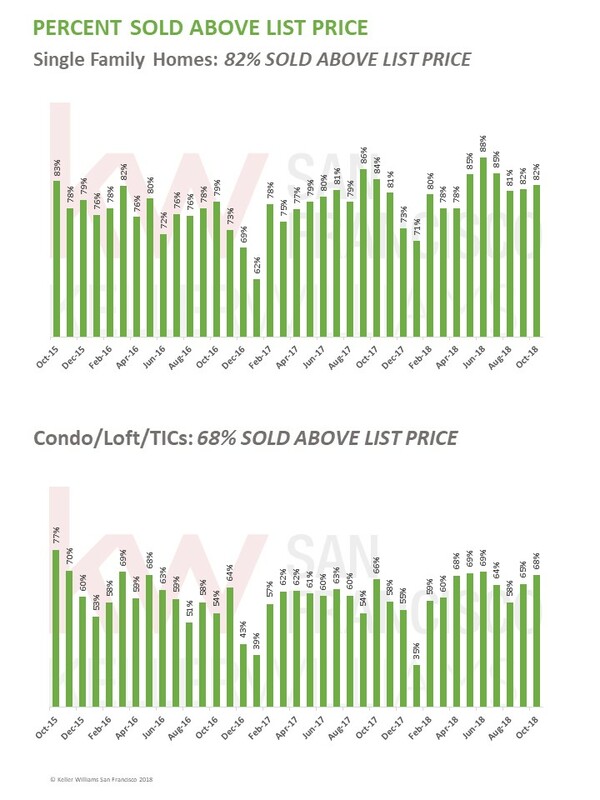 82% of homes sold over their list price and the median percent of list price received was 113%. The three-month rolling average median sales price of $1,199,633 is up 6.2% over last year’s*. Year-to-date, new listings are up 5.6% while sales are up 7.7%. October’s inventory of 3 months is 3.4% higher than in 2017. 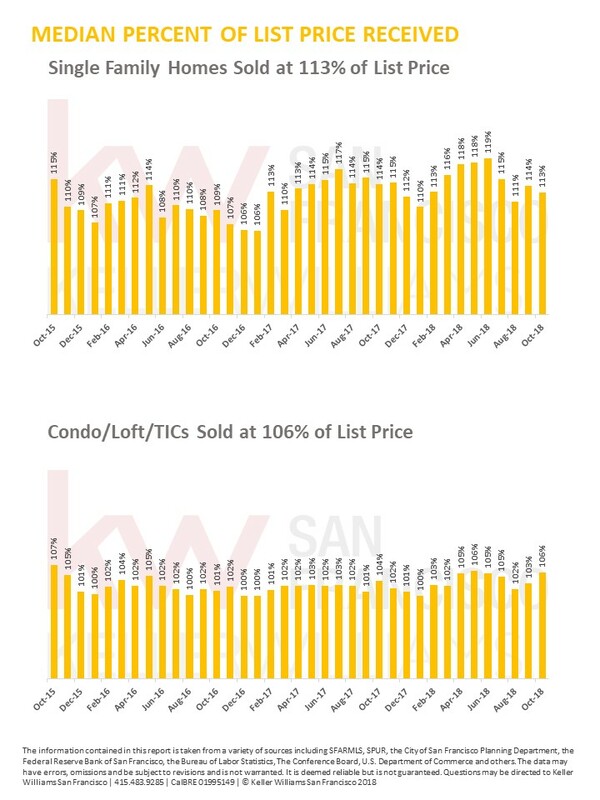 68% of condo/loft/TIC’s sold over their list price and the median percent of list price received was 106%.